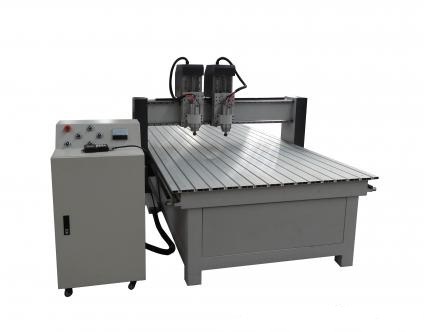 CNC Router with best of its quality with double head / twin head / two spindle having mirror machining as well as double job capability.This multi head machine doubles the profitability. RPM Tools Consulting have this machine ready for dispatch from manufacturing facility and can be delivered in three to four weeks.we assure best performance and training to work with such verstile cnc machine. ,Aluminium Composite Panels and many other maerials. Compatible Software : Ucancam V9/Type3/ArtCAM/MasterCAM,etc..